ROSWELL, Ga., March 3 /PRNewswire/ -- GS Yuasa Lithium Power (GYLP) today announced it has been awarded a contract to supply batteries for Orbital Sciences Corporation's (Orbital) Cygnus™ maneuvering space vehicle. 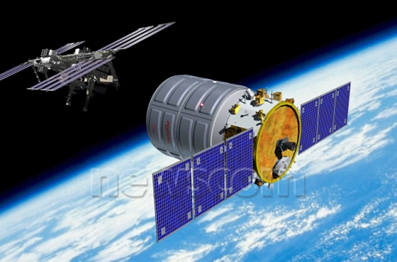 Cygnus will be used to provide cargo delivery services to the International Space Station. The battery will be assembled at GS Yuasa Lithium Power's new manufacturing facility in Roswell, Georgia and will utilize their LSE190 lithium ion cell. "GS Yuasa's lithium batteries will play a vital role in the success of our cargo delivery missions to the International Space Station that we will carry out beginning in late 2011. The Commercial Resupply Services (CRS) contract is vital to NASA's plans to support the ISS in the years ahead and we have assembled a world-class team of suppliers to help us design, build and operate a highly reliable cargo transportation system," said Mr. Frank DeMauro, Orbital's Cygnus Program Manager. The CRS program is a multi-year contract for Orbital to provide cargo services to the International Space Station. GS Yuasa's lithium ion batteries provide a light weight and reliable solution to power the Cygnus space vehicle. After launch of the un-manned Cygnus vehicle, GS Yuasa's Lithium batteries will power the spacecraft, discharging during that portion of the orbit when Cygnus is shaded by the earth and recharging during each sun-facing orbital phase. "GS Yuasa has been a leader in lithium ion cell technology for space applications for over 15 years. The selection of GS Yuasa Lithium Power to provide the battery solution highlights Orbital's confidence in the cell technology and in our battery manufacturing capability," said GS Yuasa Lithium Power President William Moll. He continued, "This program award establishes GS Yuasa's role as more than a cell supplier, and will showcase our new battery manufacturing facility's ability to provide highly engineered battery solutions." Orbital is under contract to carry out eight CRS missions from 2011 to 2015, transporting a total of approximately 20 tons of cargo to the International Space Station. Orbital's CRS missions will originate from the Mid-Atlantic Spaceport at Wallops Island, Virginia. GS Yuasa is one of the world's leading battery manufacturers for automotive, telecom, and industrial applications and has produced commercial lead acid batteries for more than one hundred years. GS Yuasa manufactures a variety of specialty battery technologies, including Lithium-ion, Nickel-Metal Hydride, Silver Zinc, and Thermal batteries. GS Yuasa Lithium Power is the United States subsidiary of GS Yuasa focused on large format lithium ion battery system manufacturing for US customers. Primary products are lithium ion battery systems for aerospace, defense, commercial, and industrial applications.